As every 6 months, Canonical came up with their new release of their award-winning Linux distribution. It is time for Ubuntu 15.10 also known as Willy Werewolf, perfectly in time for Halloween. What’s new in this release, well, not that much and except the traditional software updates, the main thing to note is that it now uses the 4.0 kernel with all the bug fixes and improvements it brings. 15.10 is a non-LTS release that means it is coupled with a dot release for the LTS, here it would then be 14.04.3. 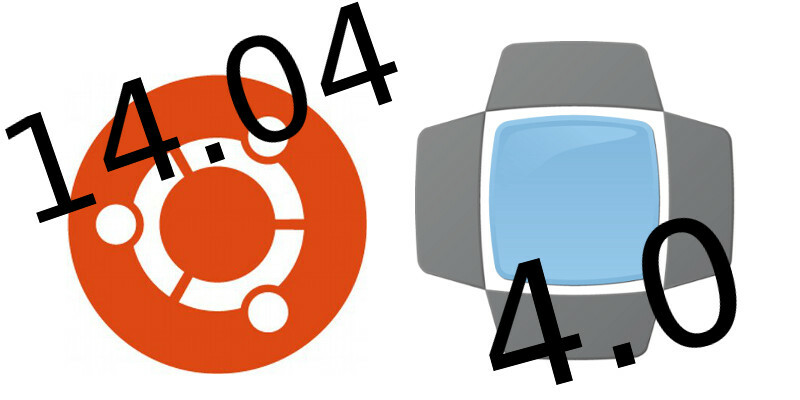 As usual, the different flavours of Ubuntu as well upgraded to 15.10, let me give you below the different links. If you are already running Ubuntu or one of its flavours, you will get soon (if not already) a notification to do the upgrade through the usual update manager. If you are not yet running Ubuntu, if you want to change flavour or simply re-install afresh, you can now download the flavour of choice and install it on your machine. Your custom VGA cooler is making hell of a noise, what the f*** is happening?? Well, let me guess, you have chosen one of the latest Nvidia boards (GTX7xx or GTX9xx)? The processor, should it be CPU or GPU is equiped with a temperature sensor, this temperature sensor has the critical task to report the actual temperature of the core of the processor so that the cooling can be adapted and in case it is not enough, the processor will throttle (i.e. limit its processing speed to limit the heat generation to what is bearable with the installed cooling). So, what does the processor do with this data. Well, it has an embedded cooling profile and that temperature will be then put in correspondance with a fan speed percentage. 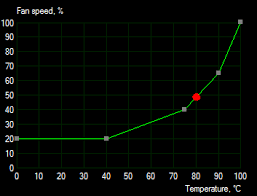 In the curve besides, a 80° Celcius temperature will lead the fan to spin at 50% of the maximum speed. More accurately, the board will deliver a 50% PWM signal to the fan (this one might be at 50% of its maximum speed but it can be as well at 70% or 80% or maybe 20%, that will then be matter of the fan circuit). This is how Intel or AMD (or even the older Nvidia) works. In simple terms : give me a temperature input, I give you a PWM output. Nothing more, nothing less, very straight forward. For the tinkerers, there are then some utils like EVGA Precision X, MSI Afterburner, Speedfan,… that can allow you to set the profile I just introduce before. In those case, you basically just override the processor settings. Now, what about the latest Nvidia? Now Nvidia has added one more layer in this process. Basically, the board is not satisfied if it does not know the speed of the fan and ifthe fan speed is not as intended, then the board will adjust the actual PWM output. Typically the standard Nvidia cooler comes with a 4000 RPM blower fan, so let’s assume it is linear and 50% PWM means 50% of fan speed and then 2000 RPM. The board will then output at first a 50% PWM signal, monitor how the fan reacts, then adjust the PWM output to reach the desired fan speed. if it measures 1900 RPM, it will increase slightly the PWM signal, if it measures 2100, it will decrease slightly the PWM signal. In theory, this is actually a good thing as it will ensure that all fans from a board to another run at same speed, and then ensure the same cooling performance (sorry if this reason seems a bit creative, that is the best I came up with so far). The board will then output at first a 50% PWM signal, monitor how the fan reacts, then adjust the PWM output to reach the desired fan speed (i.e. 2000 RPM), this will only happen when PWM signal reaches 100% and therefore it is at full speed. There you go, our fan who was supposed to run at 1400 RPM is now at 2000 RPM and looked like the control does not work on Nvidia board. This is set in the VBIOS of the board and can not be (so far) overriden. the only thing you can override is the temperature profile, but the PWM to RPM curve is given for your curve, so if you use a cooler with a native speed far below the original fan of your board, you might end up with a fan that is ALWAYS at full speed. 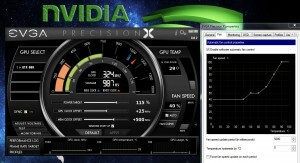 This is purely the result of observation and in no way official source from Nvidia. Some data might then be not totally accurate. if Nvidia official wants to rectify the data, I’ll gladly do it after reception of more explanation. I was looking for a quick and easy to understand and unbiased video of an OS showdown and here is quite a good one. I will though be careful as he ran it in virtual machine so OS X suffered a bit, but overall, his review is quite fair. Although I am not using CentOS in my home server, it is a totally viable Linux distribution that one could choose over Ubuntu. So here is a little how-to quite well done so that you can install a FTP server and enjoy file access from virtually everywhere. You’ll find Here . a nice little blog entry to help you install SSH on your Linux box, maybe your Home Server, or maybe something else. Fact is that SSH is, although not attractive by its look, a great tool to control your Linux box from anywhere in the world. Well, I am a bit late to announce it as a news, but that is still worthy to be mentioned so here is some news on the OS front. A new release of Ubuntu is now available, it is the 14.04 version also called Trusty Tahr. What is interesting here is that it is a LTS, which means Long Term Support, in other words, updates and technical support will be available for 5 years rather than just 9 months for the regular releases, making it a perfect choice for your home server. It features the Unity Desktop Manager (in case you want a graphical interface) but as usual, you can change it easily. The new release is not a revolution though brings some interesting updates. 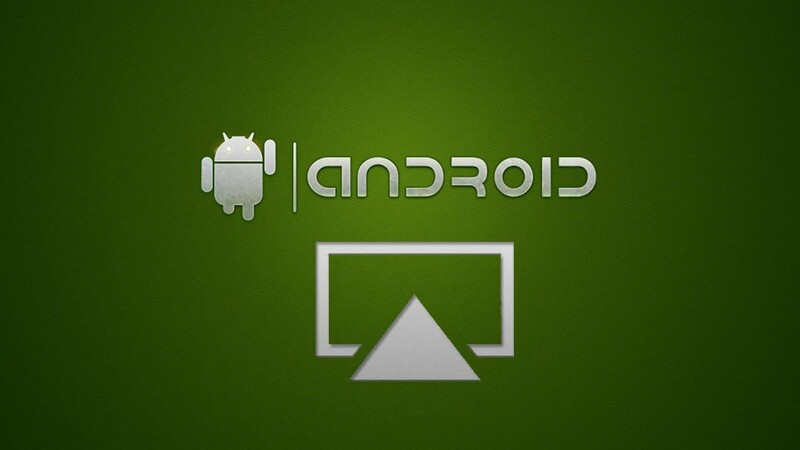 OpenElec, the lightweight distribution build around XBMC for HTPC use is as well available in a new version, the 4.0. Beside the numerous bugfixes and updates of the components of the system, the main update is the integration of the latest version of XBMC, the version 13 also called Gotham. This new release features quite a few improvements and I will be coming back to describe them in a later post. I stumbled few times in news entries from websites as big and well informed as Lifehacker and as posting a comment there has only limited effect, I decided to write a small essay about it. I do not really know where to start so I’ll go on an FaQ style, that will as well be easier to update with new discoveries. Q: I have an iPad, with an input rating of 2.1A, I just bought a charger that delivers 4500mA, will I burn my iPad? A: Not at all! your iPad will be the one dictating the charging current that will flow from the charger to the iPad. The charger rating is actually the maximum it can do, so it can without any issue be a lot higher than the one of your device. Actually, it HAS TO be that way, indeed, if it is smaller, you will then risk to blow it while plugging your iPad as this one will be asking too much from the charger. It will be like asking somebody to work more than he can. Bottom line: The device dictates what is the charging rate, you’ll need a charger capable of AT LEAST this value. Q: My phone charger is a 2000mA, if I buy that new 4500mA, will it charge my phone faster? A: Well, based on the above, you’ll think so, but again, that is not the case. Your phone has its own charging rate, it is often not so easy to find out that rate, a pretty safe approach would be to calculate it. For that, take the battery capacity (information can be found in this wonderful database), from there, take the time for a full charge with the original charger (use the original charger as it will most likely be the fastest as manufacturer optimized it). Then do the maths. For instance, my Xperia Z charges its 2330mAh in about 3h, therefore the charging rate is about 2330/3 = 777mA, add 20% for the different losses in the charging circuitry, you get 932mA, any charger delivering 1A or more will be fine but a higher value will not impact the charging time. Bottom line: Output of the charger needs to be at least big enough to cover the device needs but bigger output does not improve the charging time. Q: Well, this is nice, but why does my new charger, which is fully capable, does charge my phone a lot slower than the original one. A: Well, a charger can be capable but not delivering the full potential.Why? For that, I’ll need to set some technical background. A USB connector, in its v2.0 form, has 4 pins, 2 of them are the power line, 2 of them are the data lines, those used to transmit data in the case of a harddrive or other USB device. On a charger those 2 lines are not used (yes, no data to transfer!!). USB 2.0 specification just ask to ties them together. With the latest generation of phones and especially with tablets, the batteries considerably grew in size, the 2330mAh battery of my phone would then take 5-6 hours to charge with the current allowed by USB 2.0 specification, the iPad 3 battery would requires 24 hours or such…, devices not being able to go above this 0.5A limit otherwise risking to blow a USB port somewhere (maybe on your PC…). This long charging time is a no go for most customers, therefore, manufacturers (starting with Apple) bring in the “smart charging ports”. What’s that Smart Charging stuff? What happens is basically that the manufacturer instructed to check what is happening on the data pins to define the charging rate. Apple defined for instance that the iPad will go full throttle if it detects 2.80V on one line and 2.05V line on the other, otherwise, it will go in slow charge. Bottom Line : A charger has its own limitation but has as well to be configured in a way that the device will understand for that latter to pull the maximum current. Q: My charger is fast charging my iPad, but not my Galaxy Tab, why? The most common being the first. 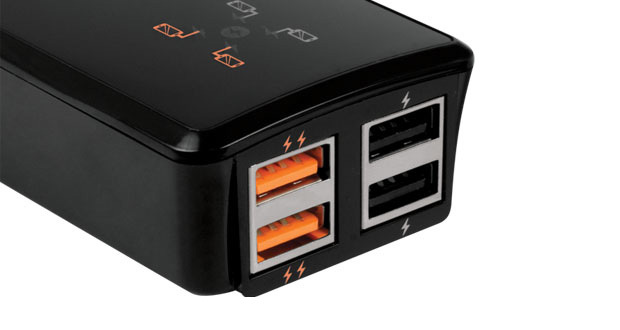 Bottom Line : each manufacturer has its own fast charge mode. Q: So, can I find a charger that fast charge all my device? Bottom Line : a 100% compatible charger is a rare thing. Q: My Asus Transformer won’t charge on my USB charger, what is happening? A: Well, here again, creativity is the source. To charge faster, Asus decided not to go with higher current but with higher voltage, in this case 15V, for that, they developed a special charger with its matching cable. It is using a USB port but it is NOT a USB charger. I hope this will help clear out some misconception in the USB charging and help some of you guys. Do not hesitate to link this anywhere else, I’ll be editing this very same post with my new discoveries. In the world of media streaming, there is plethore of offers now, but we are still left with little to no result when we are looking for a standard. Basically, as the streaming is most likely involving a smartphone or tablet as the source, the controller or the renderer, we have then to find something that works with the mobile platforms. So far, I think that Windows phone have a too little market share to represent what should be the standard, although we have to note that Microsoft did a pretty good job on the integration, recent owner of a Win8 laptop, I can vouch that the improvements in that matter are quite huge, though the library management is still not on par with the best media players (at least in my taste). Extremetech has here an interesting article about what Google needs to work on to get their standard to compete with Airplay. Because yes, here, I am not shy to admit that so far, Airplay is for sure the easiest solution to implement, even though it has its limitations. This article is almost a year old but unfortunately, the changes since then have been rather …slim. Google, please get yourself together and release us something that will really launch the music streaming for the masses. Our fellow blogger from Fanlesstech did their choice and are offering 3 references builds to get a silent HTPC. All those models comes with a SSD for the storage, this means that you either have your own home server or NAS to store your digital content or that you extensively rely on the online ressources (Netflix, Spotify,…). You can of course append an additional HDD, either internal (if you can fit it as the Entry-Level model use a rather small case) or external, but in any cases, you won’t have a truly silent HTPC anymore nas the conventional HDD are sometimes even more noisy than a very good fan. To be noted as well that none of the three builds include a Graphics card, therefore, the High-End is not really a High-End machine, but rather one of the best you can get without discrete graphics and without moving parts. For those willing to go for a discrete graphics, you still have solutions as many manufacturers today offer passively cooled graphic cards, though you’ll have to be careful as in such full passive system, the heat will build up significantly. The graphic cards sold as passive often take as assumption that there is a minimal airflow in the case. Well, here is an announcement that will for sure be to follow up. Steam, the very well known online gaming store is now about to release their OS, SteamOS. This OS will be catered to make Steam running perfectly, this means we have here expecctations for the perfect OS for a custom made living room gaming PC. 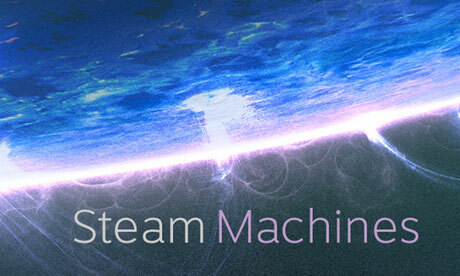 Valve did not stop at “just” an OS, they are also announcing Steam Machines. In short, a series of custom made PC sold by the hardware manufacturers and with SteamOS pre-installed on it. This will surely give hard time to both gaming consoles and Microsoft Windows. Gaming consoles are so far preferred by many gamers as it comes with no fuss, no issue on hardware compatibility, simple usage with a dedicated OS, unlike a gaming PC where you need to fiddle around to make it work at its best. An OS like Steam OS coupled with Steam Machines means that we will soon see a wide range of gaming rig all compatible with Steam games catalog (which is not small) and simpler to use. Moreover, if SteamOS is free or reasonnably priced and can be installed on any PC hardware, many gamers will adopt it quickly, give it some months for AMD and Nvidia to work on their Linux drivers (what they are doingalready actively) and the OS will have performances equal to what you can get on Windows. If you consider the vast amount of Windows licenses sold for gaming machines (sold for that particular performance reason), that is maybe one more nail for Windows’ coffin (which is already building rapidly). I’ll be reporting here any worthy news on this front and you are welcome to give me some links in the comments. Such announcement is not groundbreaking but goes in the right direction. A fully connected home becomes more and more approachable. Here is one of the reason I build this site, if you do yourself your ehome, you can control the vulnerability of the installation. Although 3d did not really take off, moves like this one make me believe 4k TV will have brighter future. A nice yet expensive network player with FLAC support. 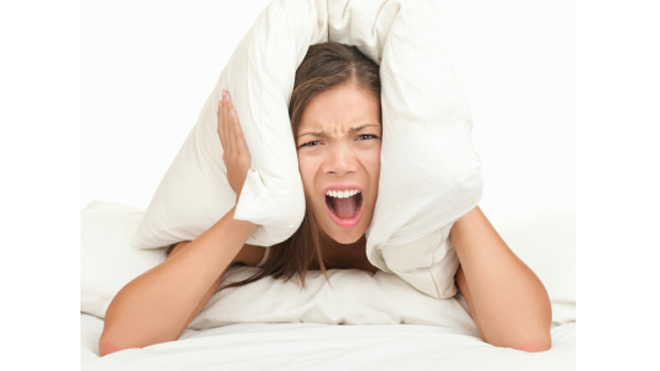 Today, one more maintenance bulletin about the website. Following a re-arrangement of the domain names I own, eHome will finally use the root domain ChezMemes.com let free by my blog. So, once more, you are Welcome Chez Memes.